The official AppleInsider app for iPhone, iPad and Apple Watch serves as the most up-to-date and reliable source for all things Apple. Since 1997, AppleInsider has been the number one destination for Apple-related news, rumors, reviews, expert commentary and more. 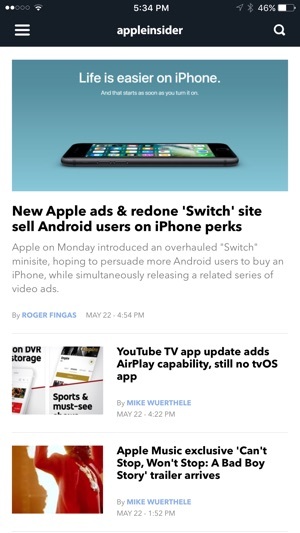 And with the AppleInsider app, you can take all that goodness with you on the go, staying a step ahead of your friends with breaking news alerts and finger-tip access to the latest Apple news and rumors. - A cutting edge design with 3D Touch support and a brand-new typeface that makes viewing content a breeze. - Be the first to know about breaking news and major announcements with push notifications sent directly to your device as they happen. - Access the AI YouTube video library to view product reviews, tutorials and more. 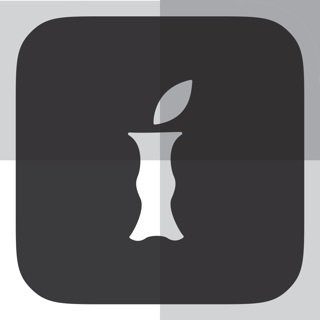 - Listen to weekly podcasts and keep current with live Apple event coverage. - Enjoy an ads-free viewing experience (available to subscribers for $9.99 per year with an auto-renewable, annual subscription). - Optimized for both iPhone and iPad. - Brand-new Apple Watch app. Your AppleInsider Pro digital subscription will be charged to your iTunes account at confirmation of purchase and will automatically renew unless auto-renew is turned off at least 24 hours before the end of your current period. Your iTunes account will automatically be charged at the same price for renewal, $9.99 per year, within 24 hours prior to the end of your current period. For AppleInsider subscribers with an existing non-renewing subscription (purchased prior to the release of AppleInsider 3.0), you will continue to have access to all of the features of AppleInsider Pro and your subscription will expire at the end of your subscription term. I love the Apple insider app and read every article. I have for years. Their content is also available on the web and some of it available via Podcasts but the app makes it so convenient. Someone in the industry with a computer science degree, I have a huge amount of respect for the technical expertise of the in-depth articles on technology surrounding Apple products and tangential industry vendors. The articles are well written, concise, to the point and when they are biased, they are very accurate and fair. In other words they are biased with factual basis for those biases if there are any. Overall everything is extremely fair and accurate. Also their price guides are indispensable. It takes a lot of work to compile all of the stuff from vendors and crosscheck and vivid detail. They are an indispensable go to when purchasing the categories of product or when returning your old used products for resale value. Thank you to the staff at Apple insider! Please keep up the good work. Notifications do not appear for new articles or any articles for that matter. I even purchased the year subscription hoping that would fix the issue. I love Apple Insider. Thanks so much for fixing. FYI - I have uninstalled and reinstalled the app and verified notifications are turned on for this application.